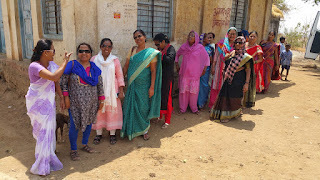 11-April-2018, Mumbai: The Don Bosco Development Society (DBDS), Mumbai organised an exposure visit to Micro Business Enterprises situated in Walvanda, Jawhar – Maharashtra; for the Self-Help Group (SHG) women residing in the slums of Mumbai. 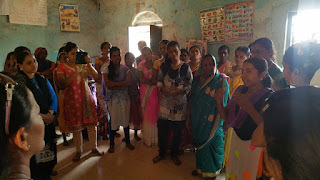 Women leaders from different SHGs participated in the exposure visit conducted and held under the aegis of project supported by Don Bosco Mondo, Germany. 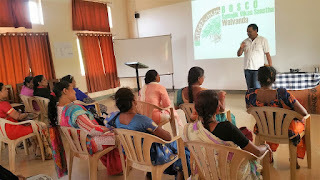 The purpose of this exposure visit was to give an opportunity to women to practically experience the working, operations and functioning of a small business by interacting and speaking to the entrepreneurs. 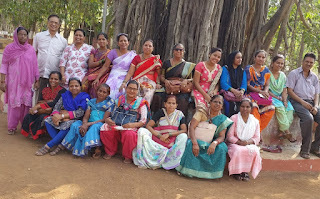 The visit to ‘Bosco Samajik Sanstha’ located in Walvanda which is working with tribal SHGs was very enriching. The women witnessed successful models of other women who had turned entrepreneurs through the sale dry fish and drumsticks. This business was started by a SHG and they collect/procure drumsticks from all villages and sell the same in the market. The participants were very much fascinated and thrilled by the visit and most of them are very excited to start their own small business. 7 staff from DBDS coordinated this exposure visit. 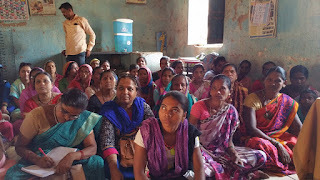 “We are certain that at-least a few of our women will start some small scale business in future after completing the entire series of exposure programmes that we have organized for them,” said Fr Rolvin D’Mello (Executive Director – DBDS).